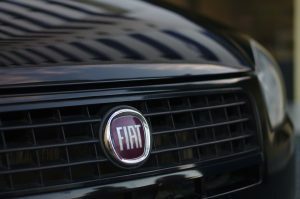 A federal judge in Manhattan has determined that Fiat Chrysler Automotive (FCA) must face a lawsuit filed by an investor representing all shareholders of the Italian auto manufacturer. In the United States, Fiat does business as FCA U.S., a company responsible for the iconic Fiat and Chrysler automotive brands. In 2014, FCA issued public statements related to an investigation by the National Highway Traffic and Safety Administration (NHTSA), which questioned the company’s handling of two vehicle recall actions. FCA stated that it was in full compliance of safety regulations, something that the NHTSA did not agree with. Unhappy FCA shareholders who were not thrilled to learn about the NHTSA investigation decided to file a civil complaint against the automaker in late 2016. There is an allegation of stock price inflation at the heart of the complaint; the plaintiffs believe that FCA downplayed safety concerns brought up by automotive industry analysts and later by the NHTSA. Furthermore, the plaintiffs accused FCA of accounting violations due to their alleged failure to set funds aside when the automaker learned of safety issues. According to records filed at U.S. District Court in the Southern District of New York, Judge Jesse Furman reviewed the defendant’s motion to dismiss in early October. Judge Furman set aside the claims of accounting malfeasance; however, he determined that the lawsuit should continue with regard to the allegations of fraudulent stock price manipulation. Furthermore, FCA shareholders have been given a green light to file claims against former FCA CEO Sergio Marchionne and the former FCA safety director Scott Kunselman. As a result of the mandatory recalls, FCA lost about $670 million on top of a hefty $175 million in fines payable to the NHTSA. Although the lawsuit may proceed, Judge Furman made it clear that optimistic statements made by public companies such as FCA do not necessarily amount to fraud. On the Milan Stock Exchange, shares of FCA dipped slightly towards 5.8 euros the day after Judge Furman issued his decision. The 52-week high for this stock has been 9.73 euros; that price has not been revisited since November 2015 when shareholders started to voice their dissatisfaction with FCA and its handling of safety recalls. Copyright © 2019 Galland Legal. Powered by WordPress and Alétheia.